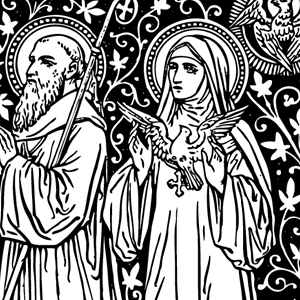 Here are some free resources for beautiful Catholic clip-art to use in bulletins, worship aids, flyers or other church publications. Enjoy! Liturgical black-and-white line-art for a variety of occasions from Musica Sacra (a few color images). Liturgical black-and-white line-art for various feasts of the Liturgical seasons from Corpus Christi Watershed (a few color images). Contemporary color images with textual design from Cassie Pease, mostly photos and quotes.